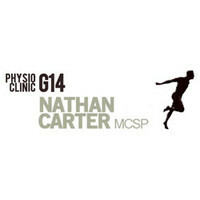 Based in Chiswick Nathan is a really good and knowledgable physio, and they can be hard to find! An avid sportsman who has completed a number of Marathons, plus the dessert multi day ultra Marathon Des Sables, he knows and understands the challenges our bodies face when working towards new fitness goals. Nathan is a really good and knowledgable physio, and they can be hard to find! An avid sportsman who has completed a number of Marathons, plus the dessert multi day ultra Marathon Des Sables, he knows and understands the challenges our bodies face when working towards new fitness goals. Nathan specializes in back and neck pain, sports and overuse injuries, and post-operative management. "I particularly enjoy treating patients with sports injuries and who are training for a specific event as I feel I can provide essential advice and support."